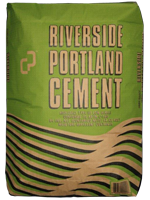 Type III Low Alkali cement is a portland cement manufactured for the purpose of obtaining high early strengths. This is accomplished by altering the chemical composition of the cement and increasing its fineness. Type III Low Alkali cement will increase strength development characteristics of your concrete or mortar products. Examples may be early form removal, post tensioning/prestressed concrete and also for cold weather applications. Type III cement will show increases in early strength over common cement by as much as 65% in one day. Uses: Precast products, ready mix concrete, plaster, mortar products, pavement panel replacement, and early form removal for structural concrete in cold weather.